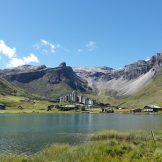 Skiingproperty.com is delighted to present this unique collection of new high-end properties for sale in Tignes Le Lac, boasting stunning views as well as a great ski-in ski-out position. 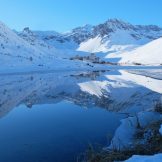 One of Europe’s finest ski destinations, Tignes is rightly recognized as one of the most vibrant resorts in the Alps and offers many activities throughout the year. The facilities are modern and efficient and a wide range of sports are available. 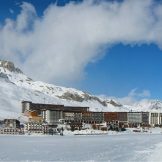 Hosting several international events, this world class and dynamic resort remains less expensive than its glitzy neighbour Val d'Isère. 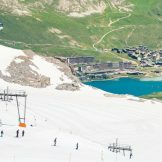 Very attractive during the summer too, Tignes offers the possibility to ski 10 months per year, thanks to its famous glacier. 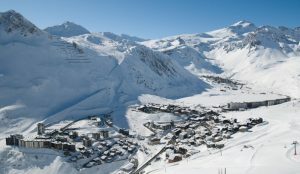 These ski apartments enjoy an unbeatable location right on the front de neige and they are just seconds from shops, local amenities lively bars and restaurants. 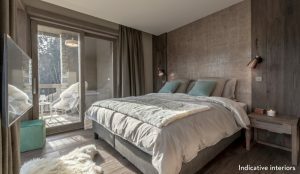 This development offers 27 apartments in total, ranging from two to five bedrooms (including a single bedroom), spread over seven floors and enjoying stunning views over one the most beautiful ski domains in the world. 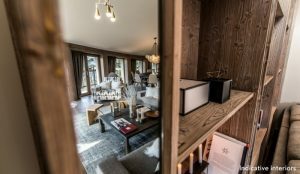 Their living spaces range from 51 to 151 square metres and they feature high-end interior finishes, parquet flooring, tiled bathrooms, generously sized fully equipped kitchens and living rooms that open onto an exterior space of 9 to 57 square metres. All of these properties are south-facing, which lets plenty of natural light flood their living spaces, so you can enjoy the sun from your balcony or terrace throughout the day. 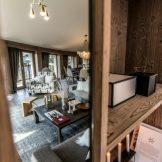 The apartments are designed in a functional way and they benefit from a cellar, a ski locker and lots of storage space. With a combination of high-end quality and a prime location, this development is also eco-friendly, featuring eco-labelled materials. The ground floor of the building will be home to a luxury hall as well as shops and restaurants. 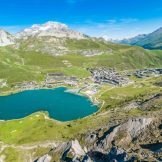 In response to increasing demand from our French and international clientele, this development will include a concierge service, as well as the possibility of renting out your apartment through a reputed alpine management service. This solution allows future owners to both recoup 20% VAT of the purchase price and receive rental yields of up to 5% considering the average price of the project at around €10,000/sqm and its ideal location; these high-end apartments represent an excellent investment opportunity. Developments such as these in Espace Killy are highly sought-after, meaning prices should increase in the years to come, ensuring a good capital gain. 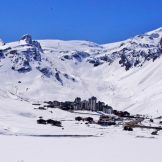 Two bedroom ski apartments, from 50.50 sqm, plus balcony/terrace from 9.7 sqm, priced from 529,000 euros. 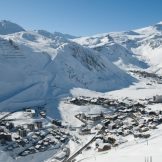 Three bedroom ski apartments, from 75 sqm, plus balcony/terrace from 9.7 sqm, priced from 845,000 euros. 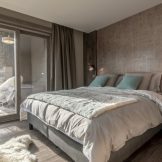 Four bedroom ski apartments, from 121 sqm, plus balcony/terrace from 14.5 sqm, priced from 1,289,000 euros. 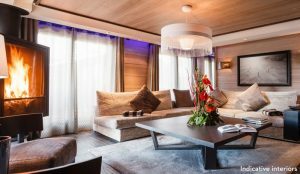 Five bedroom ski apartments, from 153 sqm, plus balcony/terrace from 19.3 sqm, priced from 1,765,000 euros.